Chelsea will be without defender Antonio Rudiger when they host Slavia Prague in the second leg of their Europa League quarter-final on Thursday (kick-off 8pm). The defender went off with a knee injury during Chelsea's 2-0 defeat at Liverpool on Sunday and is not available. Chelsea lead 1-0 from the first leg thanks to a late goal from Marcos Alonso. Head coach Maurizio Sarri had an operation on a tooth on Wednesday, so his assistant Gianfranco Zola stepped in at the pre-match press conference. When asked about Rudiger's condition, the Italian said: "It looks not as bad as we thought. He is a strong boy and should be back earlier. "He is an important player for us. I saw him improving in many ways, the way he is on the ball and the way he is defending. We alternate the defenders many times, when Christensen plays with Luiz he has done well. "He will be missed but the ones that are playing have done well." Zola expects the German defender to be available to face Manchester United later this month. It means Andreas Christensen will partner David Luiz in defence. The winner of the quarter-final tie faces Benfica or Eintracht Frankfurt in the semi-finals, with the Portuguese side travelling to Germany with a 4-2 lead for the second leg. 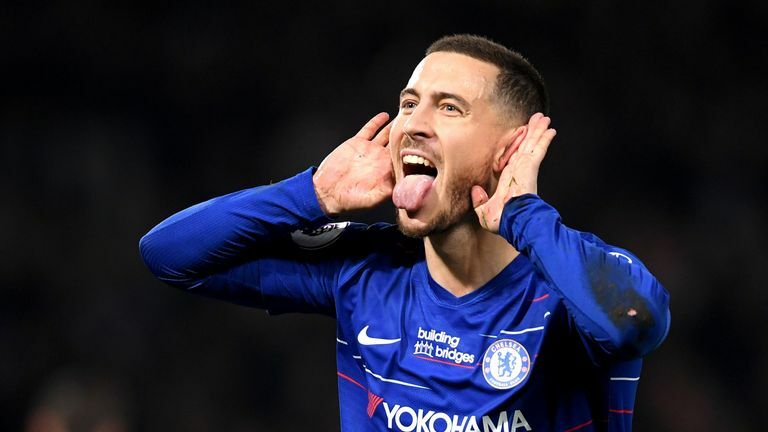 Chelsea continue their Premier League top-four challenge on Monday with a home clash against Burnley before travelling to Manchester United on Sunday, April 28. Both games are live on Sky Sports. Gary Cahill will be in the Chelsea squad with Rudiger ruled out through injury. David Luiz and Andreas Christensen are set to play together in the centre of defence. Sarri may look to once more rotate his front line following the 2-0 defeat at Liverpool, with Pedro and Olivier Giroud likely to start having missed out on the Anfield clash. 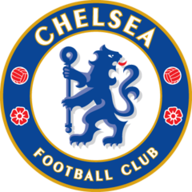 Chelsea's only previous European meeting with Slavia Prague was their 1-0 first leg victory. 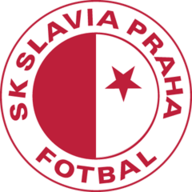 Slavia Prague are winless in their last eight European meetings with English clubs (W0 D2 L6) since winning 2-1 at home to Leeds in March 2000 in the UEFA Cup. Chelsea have won 10 of their 11 Europa League matches this season (W10 D1 L0) - no English side has ever won 11 major European games in a single season (Manchester United in 2002-03/2016-17 and Newcastle in 2004-05 both managed 10 wins). Slavia Prague have overturned a first-leg deficit on four of the 12 occasions this has occurred in major European competition, although they have been eliminated on all four occasions they've lost the first leg at home. Willian has provided seven Europa League assists for Chelsea this season, the joint-most in the competition along with BATE Borisov's Igor Stasevich. It will be another rest for five or six Chelsea players, I would imagine. Eden Hazard will get a night off and Olivier Giroud will come in as well as Pedro. There are enough choices in there. I would keep Ruben Loftus-Cheek and Callum Hudson-Odoi in the side, but this will be another comfortable night for Chelsea. Giroud will score again.